Home News Amazon Echo Dot 3rd Gen vs Echo Dot 2nd Gen: What’s New? Amazon Echo Dot 3rd Gen vs Echo Dot 2nd Gen: What’s New? The famous Amazon Echo series just got overhauled by the internet giant, along with a slew of new Alexa-powered smart devices. With this, the Amazon Echo Dot has received the awaited design and feature upgrade two years after the launch of the second generation. The biggest visible change is in terms of the design, which now rounder, allowing the Echo Dot 3 to blend into your living room or bedroom much more easily. But there are some noticeable changes under the hood too. Amazon also boasts of louder speakers and it is also compatible with the all-new Echo Sub subwoofer. Let’s take a closer look at the changes. 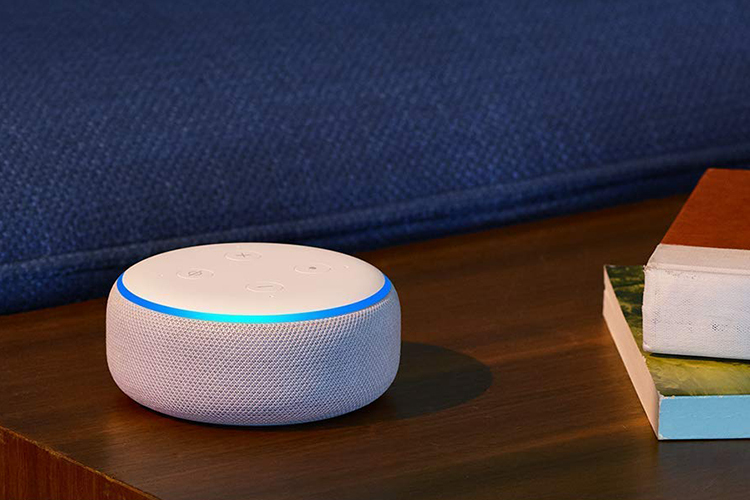 As very evident from the picture, the new Echo Dot now has a rounded design, away from the previous rigid shape, with the speakers now placed along the circumference of the cylindrical shape. This gives it a look similar to the Google Home Mini but the top panel and the blue halo light gives it a more attractive appearance. The top features the same four-button configuration on the top panel which is made of plastic and is also rounded along the perimeter. Amazon has also bumped up the numbers in the dimensions with the Echo Dot 3 being 3.9-inches in diameter and 1.7-inch in height. The new Amazon Echo Dot is also available in a new heather grey color to complement the old black and white hues. The Echo Dot 3 has a bigger driver which makes it up to 70 percent louder compared to the previous Dot speaker. You will still be able to attach an external speaker because the 3.5mm jack is retained on the new model. Additionally, you can connect external speakers via Bluetooth just in case you want a louder setup. There’s a change in terms of the microphone arrangement too and instead of seven, the Echo Dot features only four far-field microphones. We can’t say for sure without reviewing the smart speaker if this change affects its working but Amazon still claims that the speaker can hear you across the room with these microphones. Amazon updated the voice processor in the previous update but there was no mention this time. Amazon Echo Dot 3 is available in India for the same price for what the second generation was launched for i.e. Rs 4,499. Seeing Amazon release the new smart speaker in India on the same day as its international unveiling, as well as its strong marketing campaign, we can expect sufficient stocks of the Echo Dot 3. Meanwhile, if you want a more affordable solution, you can still opt to buy the second generation, the price of which was recently slashed in India by Rs 1,000, such that it now cost Rs 3,499.